HP facebook convos. . Wallpaper and background images in the harry potter contra crepúsculo club tagged: harry potter twilight series funny. 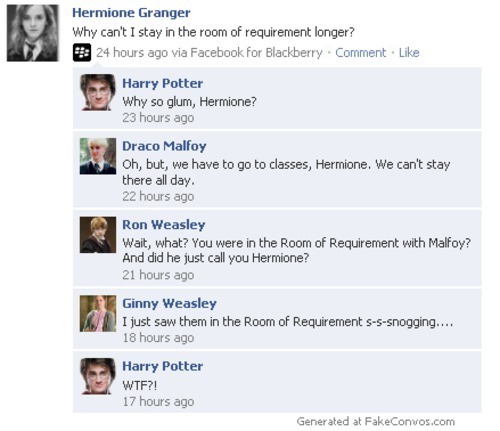 I love how Ginny is overly dramatic about it. Just like the second book, about Percy? She caught him doing "something he`s not proud of", and it turns out to be something stupid? Well, read the book.